As a fledgling IBPA board member, and as publisher of art education books for children for 27 successful years, I felt compelled to learn something new about member benefits to share with IBPA members. Instead of writing about a benefit I use, I decided to jump in and investigate a benefit I have never used. I embarked on a quest to participate in an IBPA Webinar, so I could share my review of this member benefit with you. What is an IBPA Webinar? Like other Webinars you may have attended, an IBPA Webinar is an online seminar with a featured presenter who delivers a PowerPoint presentation. This session is disseminated to registered attendees, who view it on their device screens and listen to the audio on their device speakers. IBPA Webinars offer communication between the presenter and the audience through a Q&A session at the end. 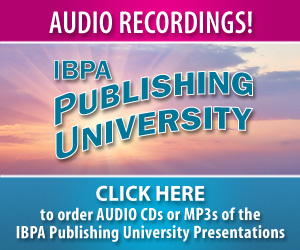 How do you find out about IBPA Webinars? That’s easy. You can find a list on the IBPA Web site, or, better yet, take advantage of the regular email announcements from IBPA that tell about Webinars coming up, including information about the speaker, what topics will be covered, the date and time, and the cost. 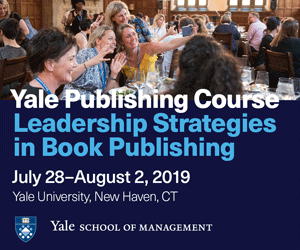 To register, simply click on the “click here” area of the email. Titles of IBPA Webinars include Social Media/Web 2.0, Publicity and Marketing, Book Production, Business Organization, and Legal Issues. And there are more. If you have questions, Lisa Krebs, assistant director at the IBPA office, can help (lisa@ibpa-online.org; 310/546-1819). What are the benefits of an IBPA Webinar? Convenience. Webinars take place over the Internet directly on your screen, so there is no need to leave the office or travel. The Webinar is scheduled during the business workday. 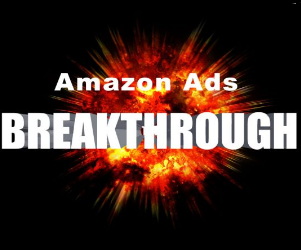 After the Webinar, you will get a free PDF of notes, opportunities to follow up with the speaker or speakers, and access to three free replays of the program. Cost. 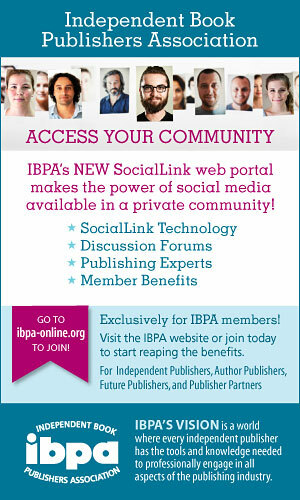 The price of attending an IBPA Webinar is $39 for one hour for members, and $49 for nonmembers. And of course there are no travel costs. You can invite others in your office to listen, watch, and learn together, and set a time for you and your group to discuss the application of the Webinar information when the Webinar has ended. Time. Lasting 60 minutes, Webinars are scheduled to fit the workday of busy publishers and authors. The hour is packed with information. Replays of all recorded programs are available 24/7. Ease of use. Registering for and attending an IBPA Webinar is an easy process using a standard browser, and it requires only basic computer skills. The steps are quick and easy to follow. Quality. 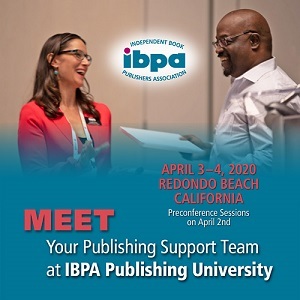 Publishing experts—including many who have spoken at IBPA’s Publishing University—present Webinars on a wide variety of subjects of special interest to both new and experienced publishers. I chose to register for a Webinar that featured information about social media and using the Internet that would be useful in marketing my “art for kids” books. Though I have some skill in the area, I knew there was much I could learn. The Webinar I participated in was “The Top 10 Ways to Market on the Internet in 2011,” featured speaker, John Kremer of Open Horizons and BookMarket.com. Kremer’s Webinar was professionally organized and provided enough information, advice, and strategies to send me on my way with new ideas and focus. For example, he gave advice about guest blogging, something I do regularly, and wanted to know more about. He followed up in the Q&A session on the same topic with even more detail and specific advice. One of Kremer’s valuable suggestions for finding blogs was to search Technorati.com. He also suggested that when I find blogs that are good for my books, I check their specific “blog rolls” for lists of additional blogs that follow them or their favorites. 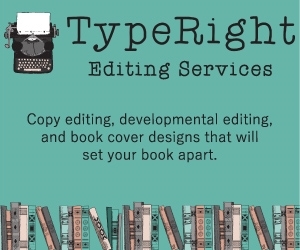 By doing this, I can build a highly specific list of blogs that relate to my books. All these blogs can be a tremendous resource for future guest blogging and choosing places I can comment on posts, build my presence as an author and expert, and inspire interest in my titles. As a bit of a test, I went to Technorati and searched “art for kids” blogs, where I found many of my favorite blogs listed, and many more that I can’t wait to visit. Through guest blogging, I plan to spread familiarity with and trust in my books and also help bring creativity to children through my posts and interviews; this resource is fabulously valuable for me. Kremer also reminded us to focus on one of 10 ways to market, and not try to do all 10. That may have been the best advice of the entire Webinar for me. When I explored viewing a prerecorded Webinar, I found that the experience was just like being there live, except that I could attend at a time of my choice. One of the perks is that with playbacks, you receive a PDF hardcopy of the PowerPoint presentation and any other materials the speaker provided. For a list of recently recorded Webinar sessions, go to meetingbridge.com/mwy/pmamasterlp.htm. In conclusion, my first experience accessing IBPA’s Webinars was positive and gave me new strategies and focus for guest blogging. I believe IBPA Webinars are well worth the $39 price tag for an hour of clear and concise information. I will be attending more throughout 2012. I also believe you will find IBPA’s Webinars inspiring, helpful, and motivating. I recommend that members consider this benefit and give it a try. You might even consider offering a Webinar in 2012! MaryAnn F. Kohl, the owner of Bright Ring Publishing, Inc., has been writing and publishing books about children’s art for 27 years. An author, educator, consultant, and presenter, she participates in the online Barnes & Noble Parents’ Expert Circle. To reach her: brightring.com; maryannfkohl.typepad.com/blog; Twitter: maryann_kohl; facebook.com/pages/Bright-Ring-Publishing/38429244046.